Care for a Quick Recovery. 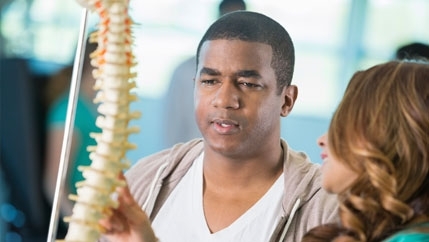 McLeod Orthopedic & Spine Specialists enlist a comprehensive, leading edge approach to the prevention, assessment, treatment and rehabilitation of joint and spine conditions. 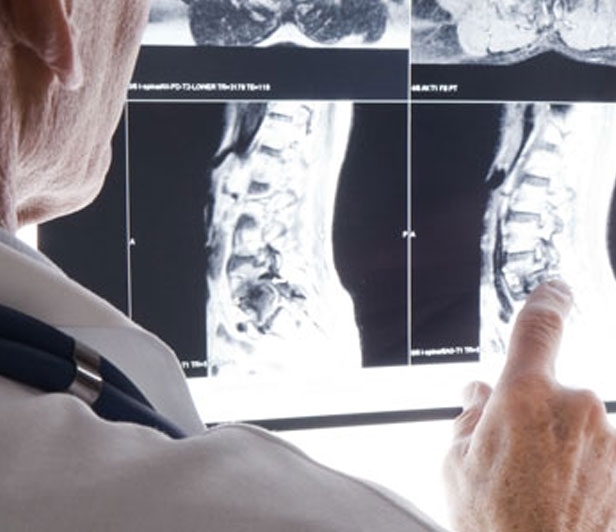 Our highly trained team of physicians, surgeons, nurses, physician assistants, rehabilitation specialists and various medical support personnel works with each patient to develop a treatment plan specifically for that patient. Our number one goal is getting you moving better, faster. 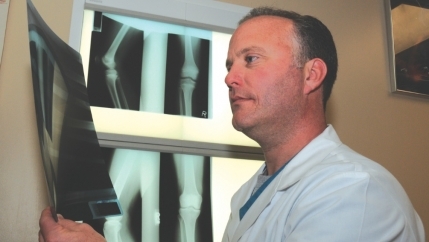 Find out more about orthopedic and spine physicians located in Florence. Cheraw, Clarendon, Dillon, and Seacoast. As people age, they want to remain active and fit. 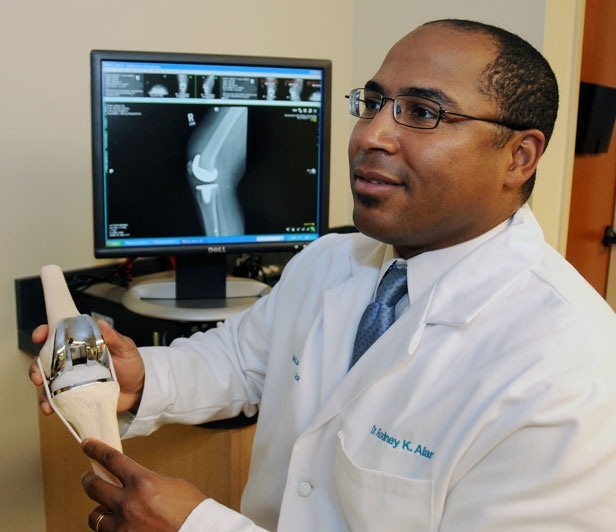 Currently more than 700,000 people annually receive a knee joint replacement in the U.S. 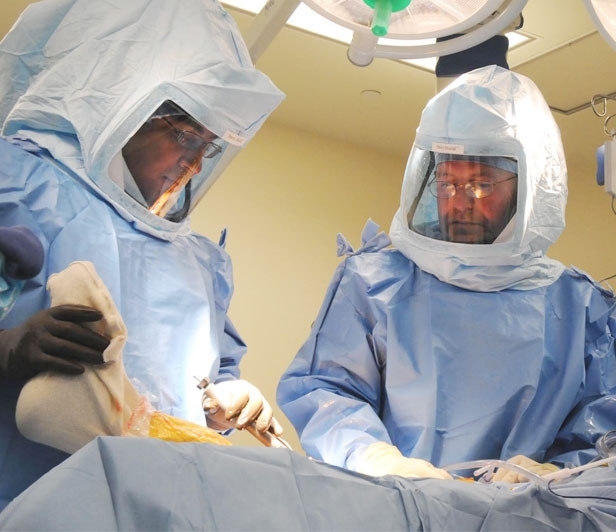 The operation ranks as one of the most common and most successful performed today. McLeod Hip Joint Replacement Patients Enjoy Many Options. Today’s active, mature adults find they occasionally need a hip replacement. McLeod Orthopedic Specialists can replace hip joints from the back, side or front of the hip. Patients experience smaller incisions and less pain with replacements that normally last 20 years or longer. Many patients can even avoid formal rehabilitation sessions, dropping their canes in weeks, not months. Learn more. Reaching, grabbing, writing, driving, lifting or just waving. We take for granted these activities that require flexibility and versatility in our hands and wrists. When troubled with Carpel Tunnel Syndrome or Arthritis of the fingers, turn to a McLeod hand specialist with special training to keeps your hands working. Patients Awaiting Joint Replacement Surgery Can Attend Joint Education Classes. Where to go on the day of surgery. How to prepare your home. Bring a family member/friend, who will be helping in your recovery, to one of the classes held Tuesdays and Wednesdays at 11 A.M. and Thursdays at 1 P.M. Your surgeon’s office will schedule you when you pre-register for surgery. Call 843-777-2095 for reservations and scheduling. 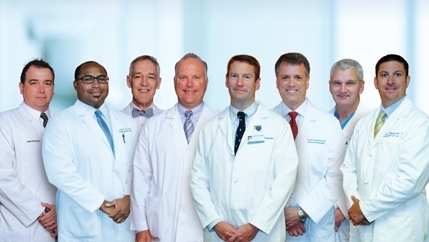 With McLeod Orthopaedics, you get the combined experience of highly skilled, orthopedic physicians: Dr. Christopher Stanley, Dr. Jason O’Dell, Dr. Barry Clark, Dr. Rodney Alan, Dr. Nigel Watt, Dr. Patrick Denton, Dr. Christopher Litts, Dr. David Woodbury, Dr. Albert Gilpin, and Dr. Thomas Mezzanote (shown left to right). 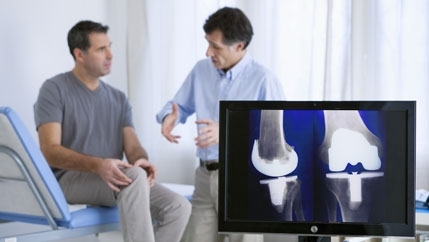 From pediatrics, general orthopedics and joint replacements, to hand and upper extremity and orthopedic traumatology, they employ the latest advancements in orthopedic care. Contact us to make an appointment. 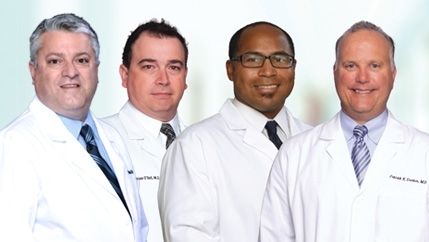 Our highly skilled orthopedic surgeons Dr. Rodney Alan, Dr. Thomas DiStefano, Dr. Patrick Denton, and Dr. Jason O’Dell will now be caring for patients in Hartsville as well as Florence. This new location provides convenient access for patients in Hartsville and surrounding areas. Our goal is to provide high quality and comprehensive orthopedic care, from the first consultation to the last follow-up welcome. As part of McLeod Health, McLeod Spine Center and it’s talented physicians Dr. W.S. 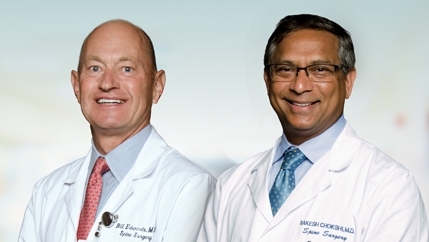 (Bill) Edwards, Jr., and Dr. Rakesh Chokshi (shown left to right) diagnose and treat a variety of conditions including injuries, herniated discs, and systemic diseases. Using the latest techniques and technology, they work to get you back in motion. Contact us to make an appointment.